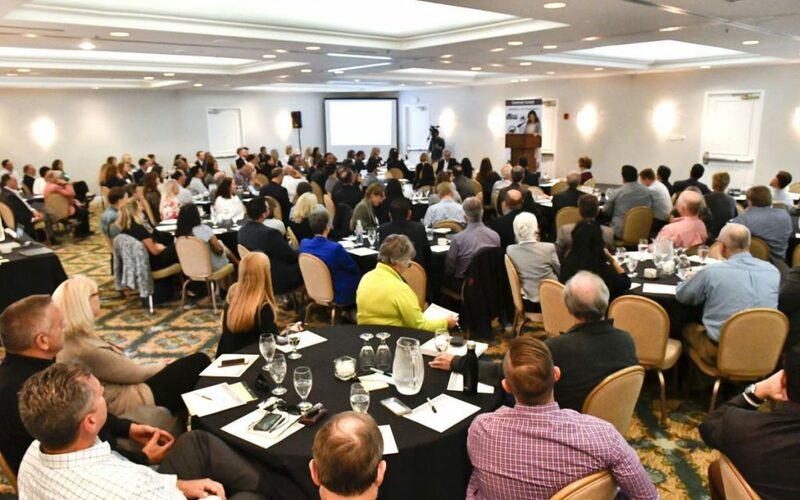 We are a coalition of business and civic leaders who have come together to form a region-wide economic development action tank to create high quality jobs throughout the Central Coast Super Region – from Vandenberg Air Force Base to Camp Roberts. With the ambitious goal of fostering a more prosperous economy that works better for all, we are calling on regional leaders to embrace big thinking, bold action, and regional collaboration, in order to shape a vibrant economic future for nearly half a million people. The Hourglass Project is based on the shared belief that our economy’s problems are too big for any individual community to solve on its own and we need to collaborate regionally to create jobs. This call to action has generated enthusiastic support from industry, education, government and nonprofit leaders all across the Central Coast. The olympic challenges facing our regional economy cannot be ignored – Good companies are pulling up stakes, the middle class is being squeezed out, and opportunities for our children to build a life, a family and a career here are dwindling. We must act now to ensure we have jobs and opportunities for the next generation. The economic future of the Central Coast depends on the ability of community and industry leaders to collaborate and overcome challenges such as the upcoming closure of the Diablo Canyon Nuclear Plant. Melissa James is a community leader who believes that innovative approaches and results oriented coalitions are critical to moving the Central Coast forward. 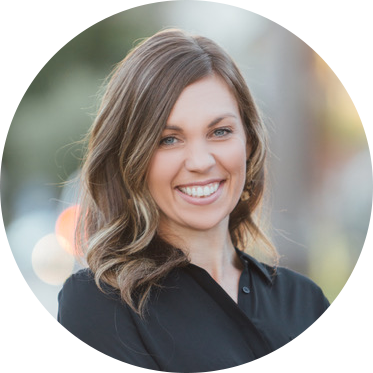 A Cal Poly graduate and native of Sacramento, she has a deep background in public relations, strategic communications, public policy and economic development, with a proven track record of building highly-effective coalitions and teams. Her work at the Hourglass Project will focus on building regional collaboration in order to increase quality jobs across the Central Coast. Here are the answers to a handful of frequently asked questions. What is the Hourglass Project? The Hourglass Project is a burgeoning regional movement led by individuals focused on creating new capacity to cultivate, nurture and sustain an economy that works better for all Central Coast residents. The goal is to unite the best minds from business, government, education, philanthropy, and civic leadership – from Vandenberg AFB to Camp Roberts – to advance an economic growth agenda that is inclusive, diverse and cooperative. Why is it called Hourglass Project? Hourglass Project is a placeholder name. The name was selected because it reflects a finite amount of time, and a sense of urgency. The time is now, to put into place an effort that will build a more resilient and prosperous regional economy for our residents. Our region’s economy is under-serving our residents and community. Our region consistently underperforms on important economic and quality of life measures (e.g., low wage growth, high housing costs, low growth in labor productivity). Saddled with suppressed wages on the one hand, and furious growth in housing costs on the other, our region lacks opportunity for upward mobility. Additionally, several economic disruptions are on the horizon that will further compromise the vibrancy of our economy, further straining the region when cyclical downturns occur in the economy, as will inevitably occur. The focus of the Hourglass Project is to strengthen the region proactively so that it can manage through these issues successfully to benefit all residents. Following that trip, a task force developed by Cal Poly’s Local Economic Development Committee looked more deeply into what it would take to replicate that kind of success on the Central Coast. The Cal Poly Local Economic Development Committee (LEDC) meets quarterly and consists of 60 regional leaders. The LEDC was formed in 2014 when President Armstrong invited community leaders to meet regularly to discuss ways to improve the region’s economy. Subsequently, the Local Economic Development Committee reviewed the findings of their task force and determined that the region needs a new entity charged with putting ideas into action that will spur economic growth in a way that leads to a more resilient local economy that benefits all residents. Regionalism recognizes that individual communities face many commonly shared social and economic challenges, and that these challenges occur across multiple jurisdictions. Regionalism is the belief that we can do better for our individual communities and citizens by collaborating with each other instead of competing against one another. Regionalism also recognizes that most residents live their lives across multiple jurisdictions – their home is in one community, their work might be in another, their shopping and recreation in several. At the moment, our region lacks a mechanism for collaboratively addressing these challenges in a way that leverages our collective strengths and improves the quality of life for all residents. Project Hourglass is intended to fill this gap. Is this a new organization? Yes. The Hourglass Project is a new, independent 501(c)(3) organization. Creating and sustaining a prosperous economy requires a long-term, disciplined, systematic effort. A one-off project under an existing organization not specifically built for marathon tasks will not get the job done. In order to integrate existing efforts across multiple jurisdictions and move ideas into action successfully, this work needs to be housed under a new regional organization created specifically to undertake this kind of long-term work. Additionally, the Hourglass Project represents a larger footprint than is currently served by any existing organization. This regional area stretches from Camp Roberts in San Miguel at the north end to Vandenberg Air Force Base in Lompoc at the southernmost point. By including all areas that are truly economically intertwined, the Hourglass Project would encompass a Central Coast Region with a population of nearly half a million residents. How will we ensure our region is equitably represented? This issue has been top of mind among the group of leaders doing the critical thinking that has led to this proposed regional design. Guarding against the unintended result of favoring one entity over another requires a carefully crafted governance structure. Regional stakeholders are working diligently to design such a structure to ensure that it promotes economic development across the region in smart and equitable ways. This ongoing work requires patience, compromise and multiple drafts thoroughly vetted by community partners. How will board seats be allocated? The Board of Directors will be a diverse group by industry, geography and demographics. The Founding Board will be identifying and recruiting new Board members from across the region to join over the coming weeks and months. The work will be funded primarily by a private-sector investors and supplemented by a mix of corporate, philanthropic and/or government grants and/or contracts. Please join us as a partner for the prosperity of the Central Coast. We are looking for bridge builders, boundary crossers, strategists, policy wonks, analysts, and storytellers – all with a passion for shaping a vibrant Central Coast future. Reach out and join the team. Discover with us what we are capable of achieving when we think bigger and act collectively. © 2019 Hourglass Project. All rights reserved.